Which has me thinking that perhaps it's not the apps themselves as much as the devices on which we've trapped them. We also don't always watch. At least not actively. 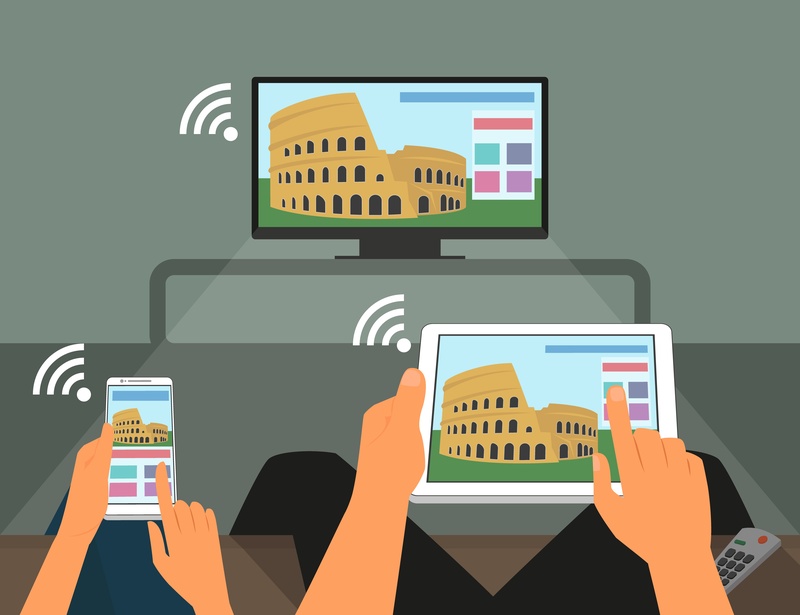 There's an oft-quoted Nielsen stat about how 84% of people are using their tablets while they are watching TV. Which generally means checking their email or posting something on Facebook because they're not all that engaged with whatever's on TV. And even though there are stats showing that many people have looked up information about shows on their tablets while they are watching said shows there's nothing to indicate that this is habitual behavior versus a one time what's the name of the actor playing the sister, go look it up on IMDb sort of thing. Which may just be human nature. The lure of multitasking is a big one. There are numerous apps designed to help people stay focused on the work they are doing rather than drifting off to Facebook or cute puppy blogs or whatnot. And those same forces are at play when using the tablet as a second screen app: unless it's a show you are seriously involved with, it's way too easy to pull away from the TV app to reply to the email that just came in from your boss because, after all, having the TV app open doesn't simultaneously shut down email. Or Facebook or Twitter. Or Angry Birds. Which leads us back to the first screen as a way to solve for all of that distraction. That sort of set-up would be attractive to hard-core fans of the show who were looking for deeper levels of bonding and to people who were only half-watching the show, as the additional content may prove more interesting to them than the original content. It wouldn't be that much of a disruption as we're already used to the partial screen concept from news channels like CNN and today's super-sized TVs offer plenty of space for both main event and extras. The challenge would be designing a system that was intuitive enough for viewers outside the early adopter cohort, because until those people start using it, second screen, or anything resembling second screen, is only going to be a pipe dream. That challenge is made all the more challenging by the current state of today's remote control devices, whose UI choices defy logic and which vary from maker to maker, MVPD to MVPD, making an easy way to turn the extra content on and off a serious challenge. That app could also serve as a program guide/DVR/recommendation engine that would appear on the big screen, but would also allow users to get recommendations/program their DVRs/watch TV directly from their tablets when there was no big screen option. (Which would rely on the networks and MVPDs finally coming to an agreement on TV Everywhere, but I digress.) That could be anytime from your office to the kitchen table to the floor of the den because your mom wants to watch Dancing With The Stars and you'd rather watch the Laker game. I still firmly believe that program guide functionality is what's going to get the mass of viewers over to the second screen: it's just easier to control your TV from a touch screen device that already has a built-in keyboard. Plus there's only so much we can do with voice commands and then there's the psychological hook: talk to the machine and it feels like you are telling it to do something for you. Tap it or swipe it, and it feels like you are doing the work. That's not a conscious perception, but it's an important distinction that may make some people uncomfortable with relying on voice commands. The trick to mass adoption may be as simple as keeping viewers attention focused on the same screen as the program they're watching, whatever that screen might be. It goes against a lot of what we currently believe about first screen/second screen interaction, but given second screen's current failure to launch, it's well worth looking into. *Yes, there is a Dutch TV show that has a second screen app that something like 25% of the population of the Netherlands is currently using. It's a way to play along with a popular quiz show at home (and win valuable prizes) that makes me think it's a clever exception rather than success story #1.